Singer Hong Jinyoung (34)’s eye smile remained the same. Hong Jinyoung, who met up with Star News prior to the lunar New Year holidays, had well wishes for fans while promoting for her new song ‘Good Bye’, the first song she released in a year. Hong Jinyoung is planning to spend this lunar New Year holiday resting and also promoting her new song. On New Years Day, she will rest spending time with her parents who are coming from her hometown, and the rest of her holidays will be spent preparing for music broadcast stages and focusing on work related to her new song. Hong Jinyoung spoke about her parents’ reactions to ‘Good Bye’. One of the questions often heard during the holidays is ‘marriage’ and we asked if her parents mention it. In regards to her ideal type, Hong Jinyoung responded “I hope they have a comfortable appearance looks-wise and I hope they can be a comfortable person when they are with me” and “I don’t wish for a lot of things. It doesn’t matter if they work in a similar field as me, I just want a person I can lean on”. Hong Jinyoung added while laughing, “I will date first and if I do get married, I will tell you personally”. On the 7th, Hong Jinyoung resumed her activities as a trot singer through her new song ‘Good Bye’, her first release in a year. ‘Good Bye’ is a trot number in a retro genre. It has a peculiarly familiar melody and an addictive chorus, completing a trendy trot song that’s unique to Hong Jinyoung. 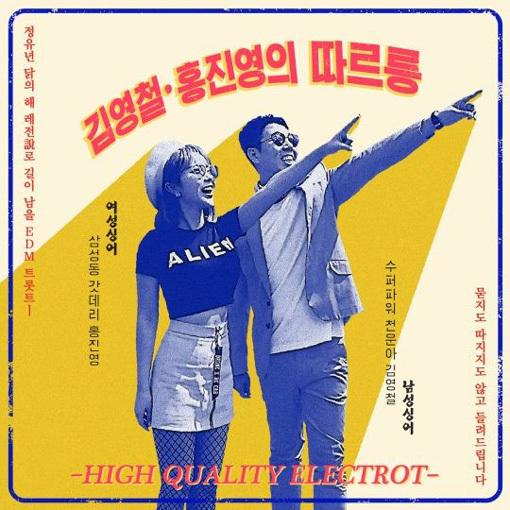 Regarding this song, Hong Jinyoung confidently revealed, “This is a song created with the essence of my hit songs ‘Love Battery’ and ‘Cheer Up’”. Through 2009’s ‘Love Battery’, Hong Jinyoung has received a lot of love as a new generation trot singer and this year is her 10th year of solo activities. Hong Jinyoung revealed her honest thoughts on having had a lot of popularity for a long time as a trot singer and the gazes that are directed toward her. Along with this, Hong Jinyoung mentioned her ambitious dream. Which was ‘CEO producer’.